So is anyone watching the Super Bowl tonight? I don't really have a vested interest since my home team (the Jaguars) didn't even make the play-off's, but I will be indulging in some football food and cheering on whatever team is playing the Patriots. LOL Go Rams! If you're watching the game, who will you be pulling for? This one was crazy AF and I still haven't managed to write a review. My favorite entry in the series. Even though Saint's stronghold on the past was sometimes frustrating, overall she was incredibly relatable. And Nash's heart of gold gets me every time. Cross reminds me of Katie McGarry at times with the way she can seamlessly weave social issues into her stories without it becoming An Issue Book *in bright neon letters*. In this case, she tackled school/youth athletic programs and the toxic environment that can develop when those in charge lose sight of the individual players and have a win at all cost mentality. I've been meaning to read something from Brittainy Cherry for years and it's finally happening. Here's hoping this was worth the wait! I typically skip this one when I re-listen to the series because it's my least favorite. I love Rowdy but Salem? Ugh. I dislike her character and I dislike the narrator who voices her character. But there were some secondary plots in this one that I wanted to hear again so here we are. Can I just pretend that Rowdy ends up with someone else? Ha! I broke down and bought the Barnes & Noble special edition. It's just too beautiful! One of my most anticipated books of the year was offered as an Amazon Prime First Reads selection! Color me excited! Disclaimer: This is all in good fun! I have never watched professional football, but I have had even less interesting with all the drama. I do enjoy college ball though. You want cold? You should have been up north last week. It's going to be almost 60 this week, and I say BRING IT! I cried so much reading that Cherry book. There is this crazy OTT part, but it was ok, because of all the really beautiful and emotional parts. My dad was the same - loved college ball but didn’t really follow pro ball. I am far from what you would call a sports fan, but I do usually enjoy watching me some pro football. :) (Except when the Patriots win. LOL) Hooray for your warmer weather this week. I’m sad for me but glad for you. 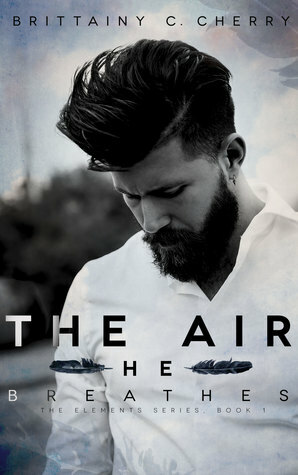 :) I’m only 60-70 pages into The Air He Breathes and there hasn’t really been anything OTT but my heart keeps breaking for Tristan. That Superbowl graphic is too funny. Oh that Wicked King book is pretty!! I was so excited the new Amy Harmon was a Kindle pick this month. It sounds great! Have a great week! Bwahahaha so I am responsible for your ever growing TBR? LOL And enjoy What the Wind Knows! This has been a wild winter! I know nothing about football but even I'm sick of the Patriots, haha. Verity was crazy and intense! Loved it! We can get hot weather this time of year in Southern California too. We had an 80 degree day the week before last, but it's been raining cats and dogs for the last week and will be a few more days. I don't like it so warm during the winter. It throws me off. I didn't watch the Super Bowl and I don't know who won, lol! I flew home yesterday and by the time I was settled and unpacked I didn't care. I'll have to look it up. I'm curious about the Amy Harmon book. I saw it on the first reads but I didn't click to get it. I should go back and do that. I have a friend in San Dimas who was texting me about all the crazy rain yesterday . I had no idea! Amy Harmon is such a go-to author for me. Her book From Sand and Ash was my favorite of 2017 so I have really high expectations for What the Wind Knows! We watched the Super Bowl and rooted for the Rams. Well, until we all fell asleep because the game was so boring, lol. Ha! Same here, Suzanne. The was one snooze-fest of a Super Bowl. I went to bed after the 3rd quarter. Even the commercials were boring this year! I'll check out your list of songs! :) I didn't care about the Super Bowl either. I wouldn't have minded if NE lost though. ;) Oh well. I can't believe you're having temps in the 80s! That's crazy! Looks like you had a good reading week. 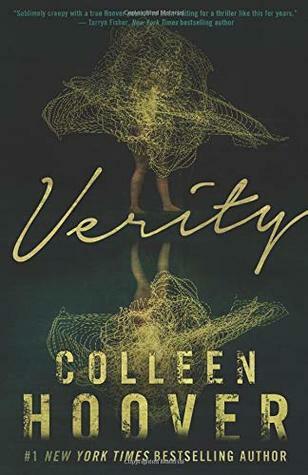 I'm eager to read Verity. And I'll have to give Julie Cross a looksie. I've started the Marked Men series and I need to finish it up. But I'm such a slow reader right now. I think I've only finished 3 or 4 books so far this year! :O Anyway, hope your week is going well so far, Tanya! This winter has been practically nonexistent. Boo. It’s supposed to be 78-80 for the next 3 days. 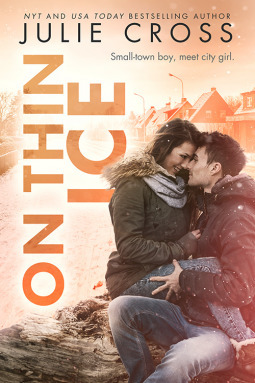 *sigh* The Juniper Falls series by Julie Cross is really good for when you’re in the mood for a good YA contemporary. Verity totally messed with my mind and I loved it. LOL I hope you’re enjoying what you’re reading lately, even if it’s slow going! LOL, I love the Super Bowl picture. 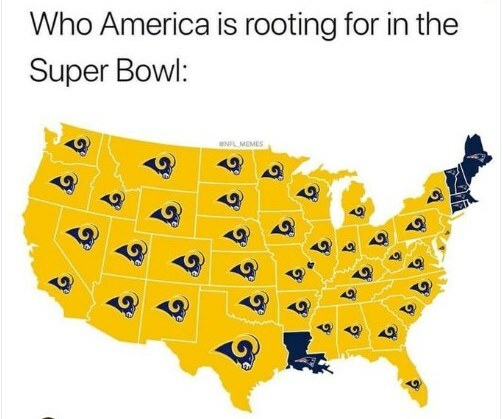 I was going for the Rams even though I'm not much of a football fan but I will always root for the L.A. team (unless you're the Clippers then no. Never them.). Lots of good stuff in this post though. I look forward to reading your thoughts on all of these books. Have a great week, Tanya! 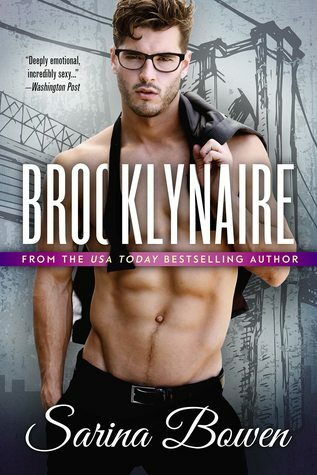 I picked up Brooklynaire too. It was on sale so I couldn't not! I'm the opposite of you with the Marked Men, I think. 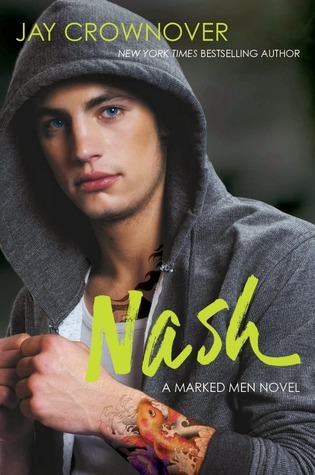 Nash's book was the one I liked least because Saint bugged my happiness (even though I loved Nash) and I loved Salem and Rowdy together. Too funny how we’re so opposite with Nash and Rowdy. :) I can totally see how Saint could be annoying and I really got frustrated with how she kept judging Nash for high school crap, but at the same time I felt like I understood her, too, so I was willing to overlook some stuff. You know what, I still haven't read a book by Jay Crownover!!! Shocking I know!! I swear there are so many authors out there that I want to try. It just overwhelms me sometimes. Great post and LOVE the Superbowl photo at the end, too funny!!! 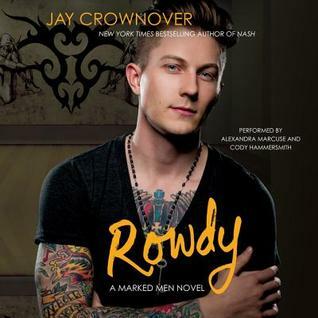 I started that Jay Crownover series on a total whim - just looking for something to listen to back and forth on my commute - and ended up loving up! Now I want to continue on with the sin-off series, Saints of Denver. And I know what you mean... not only do I want to keep up with the authors I already know and love, but there are so many that I still want to try!